I began working in glass in 2008, having worked in textiles, photography, printmaking and sculpture since the 1980s, with a parallel career as a poet, writer and editor. I find my literary and visual work are closely related, both being inspired by my Aboriginal and other cultural heritages. There is often a political sublayering in my works that alludes to these. I live in Canberra and have a studio at Canberra Glassworks. As a contemporary urban based Aboriginal (Arrernte) glass artist, my aim is produce a body of traditionally inspired works that will pay tribute to our traditional weavers, and provide recognition for these ancient cultural practices through the contemporary medium of glass within the aesthetics of both. My present body of work is inspired by traditional woven eel traps, fish traps, and coiled and open weave baskets by Kaurna, Ngarrinjerri, Gunditjmara, Arrernte and NE Arnhemland weavers. Hot blown glass provides an interplay of form and light that is very evocative of the light and form seen in traditional woven works, while at the same time allowing me to experiment with various weaves through the use of single, double straight and double twisted glass canes. My recycled glass works are extension of that experimentation, made with murrine pulled from recycled gaffer and bullseye glass to create canes evocative of natural rushes and grasses. Born Adelaide of Arrente, Chinese and Anglo-Celtic descent, Kemarre skin. Batchelor of Arts (Visual Arts), Canberra School of Art (now Canberra Institute of the Arts, ANU), Canberra, 1985, Sculpture major. Commenced working in glass in 2008 at Canberra Glassworks, workshops with Klaus Moje, Kirstie Rea, Simon Maberley, Luna Ryan, Sue Kesteven, Itzell Tazzyman, Ruth Oliphant and Jermey Lepisto. • Finalist, City of Hobart Art Prize, Hobart Museum and Art Gallery, Tasmania, Sept –Oct, 2014. • Finalist, Bay of Fires Art Prize, Tasmania, June 7 - 20July, 2014. • Winner, 30th Telstra NATSIA Award, MAGNT, Darwin, NT, 6Aug – 10 Nov. 2013. • Finalist, Tom Malone Prize 2013, Art Gallery of WA, Perth, WA, Feb, 2013. • Canberra Critics Circle Award for Visual Arts 2013. • Aboriginal and Torres Strait Islander Arts Visual Arts Fellowship 2013-2015, 6th National Indigenous Art Awards, Sydney Opera House, May, 2013. • Winner, Wollotuka Acquisitive Art Prize, University of Newcastle, Newcastle, 2012. • Highly Commended, Waterhouse Natural History Art Prize, Sth Aust Museum, July, 2012. • Finalist, Ranamok Glass Prize, Canberra Glassworks, August, 2012. • 2011 Canberra Critics Circle Award for Visual Arts. • Finalist, Ranamok Glass Prize, Canberra Glassworks, August, 2011. • Finalist, Waterhouse Natural History Art Prize, Sth Aust Museum, July, 2011. • Reed Songs, solo, Sabbia Glass and Ceramics Gallery, Paddington, Sydney, 15 Oct – 8 Nov, 2014. • Contemporary Aboriginal Design, Adelaide Perry Gallery. PLC, Croydon, NSW, Oct, 2014. • New Weave, Object Design Exhibition Centre, Surrey Hills, Sydney, NSW, 16 Feb - 29 March, 2014. • Weereewa: Alternate Histories, Goulburn Regional Gallery, Goulburn, NSW, 31 Jan – 8 March, 2014. • Sacred, M16 Art Space, Canberra, ACT, Dec 1 - 16 2013. • 30th Telstra NATSIAA Award, MAGNT, Darwin, NT, 6Aug – 10 Nov. 2013. • Shaping Canberra, Canberra Centenary Exhibition, ANU School of Art Gallery, ACT, Sept 17 –Oct 19, 2013. • First Light, Canberra Centenary exhibition, Canberra Contemporary Art Space, July 5 –Aug 11, 2013. • 100 Views, Canberra Centenary Photography Exhibition, PhotoAccess, Manuka ACT, Aug – Oct 2013. • ATSIAB Artists, Foyer Exhibition Space, Australia Council for the Arts, Surry Hills, NSW, March – June 2013. 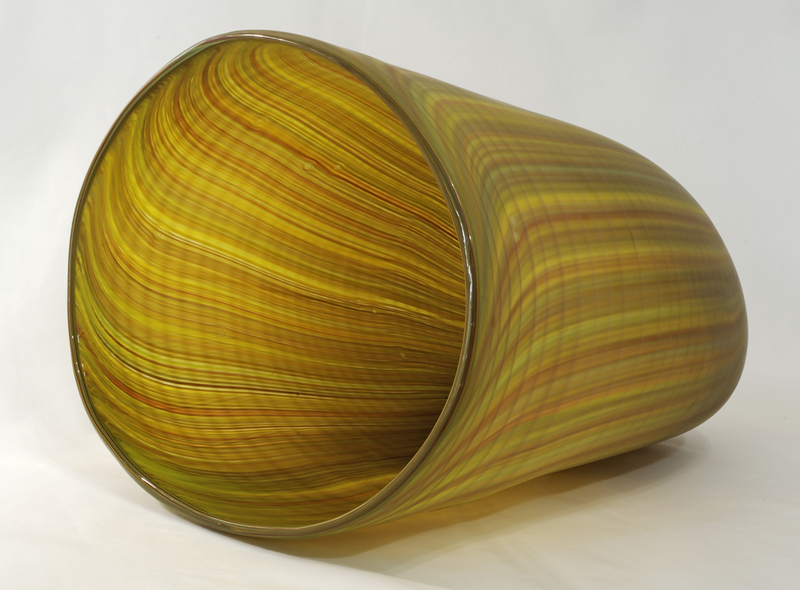 • GlassWeave 2, Solo exhibition, Canberra Glassworks, ACT, 28 Feb – 4 March, 2013. • Story Weave, The Q Gallery, the Q Entertainment Centre, Queanbeyan, NSW, 16 Feb – 16 March, 2013. • SY3 Exhibition, AIATSIS Foyer Gallery, Acton Peninsula, March, 2013. • Walking Together, CIT Staff Exhibition, Creative Industries Design Space, CIT, Constitution Ave, Reid, ACT, 19 March – 23 April, 2013. • Ensemble: Ausglass members Exhibition, Wagga Wagga Art Gallery, NSW, 16 Feb - 21 April, 2013. • Tom Malone Prize, Finalist, Art Gallery of Western Australia, Perth, WA, 6 Feb – 29 April, 2013. • Made to Remember, Art Gallery of WA, Perth, 24 Nov, 2012 – 30 June, 2013. • Ranamok 2012Glass Prize Touring Exhibition, Canberra Glassworks, Aug – Sept, 2012; Sydney; Brisbane. Dubbo, Manly, Sept . 2012 – Sept. 2013. • Goulburn Regional Art Award, Finalist, Goulburn Regional Gallery, Goulburn, NSW, Nov – Dec, 2012. • Wollotuka Acquisitive Art Prize, University of Newcastle, Sept – Oct, 2012 University of Newcastle Gallery, Newcastle; Pt Macquarie Gallery, Pt Macquarie, NSW, Oct – Nov 2012. • Waterhouse Natural History Art Prize, Sth Aust Museum, Adelaide, July - Sept, 2012; National Archives, Canberra, Sept – November, 2012. • GlassWeave, Solo exhibition, Belconnen Arts Centre, ACT, 15 June-1 July, 2012. • Australian Exhibition, Festival of Pacific Arts, Honiara, Solomon Islands, 1 – 15 July, 2012. • Grandmothers’ Countries, Solo exhibition, Huw Davies Gallery, PhotoAccess, Manuka, ACT 5 – 22 July, 2012. • Many Stories, Tuggeranong Arts Centre, ACT, 5 – 22 July, 2012. • OpenWork, Jenni Kemarre Martiniello and Giles Bettinson, Canberra Glassworks Gallery, ACT, April/May, 2012. • The Summer Show, Glass Artists Gallery, Glebe, NSW, Dec – Feb 2012. • Entrapment, Solo exhibition, Canberra Contemporary Art Space, ACT, Aug-Oct. 2011. • Ranamok Glass Prize Touring Exhibition, Canberra Glassworks, ACT, August-Sept, 2011; Sydney, October, 2011, Brisbane, November, 2011. • Waterhouse Natural History Art Prize, South Australian Museum, Adelaide, SA, Jul-Sept. 2011. • EarthWeave, CraftACT/Canberra Glassworks, ACT, July-Aug, 2011. • Change, Belconnen Arts Centre, ACT, 24th June – 17th July, 2011. • Leading the Way, Belconnen Arts Centre, ACT, July/Aug 2010. • IndigiGlass’09: Old Cultures, New Rituals, new works in glass, Tuggeranong Art Centre, ACT, Dec. 3 -23, 2009. • Fabricate’09: International Invitational Textiles Exhibition, Malvern Artists Gallery, Textile Artists Guild of Victoria, Melbourne, April/May 2009. • IndigiGlass’08: Postcards from the Referendum, Tuggeranong Art Centre, ACT, 2-22 July, 2008. National Museum of Australia Acquisition. • A Red World, textile artists invitational exhibition, Wangaratta Regional Gallery, VIC, 21 June – 20 July, 2008. • Photographing Country, solo photographic exhibition, Belconnen Community Art Gallery, July, 2008. • First Light, in CCAS 2013, Canberra Contemporary Art Space Publication, ACT, 2013. • Jenni Kemarre Martiniello by Di Campisi, Craft Arts International No 89, October 2013, pp. 34 – 37. • Reflections/Refractions: Waves of Light and Shade, review by Brenda L Croft, Craft Arts International No 89, October 2013, pp. 106 – 107. National Gallery of Australia, National Museum of Australia, Canberra Museum and Gallery, Art Gallery of Western Australia, Art Gallery of South Australia, Australian Parliament House Collection, ACT Legislative Assembly, University of Newcastle, Bonner School ACT, National Museum of Belau, National Art Galley of the Solomon Islands, Corning Museum of Glass, USA.